Genuine IKEA shopping centers in the city of Rishon Lezion near Tel Aviv. 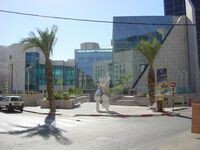 The second IKEA store in Israel in the city of Rishon Lezion opened its doors in March 2010 years. shopping area is 24645 meters.